Do you think that you are unbeaten and can do any type of quiz?! 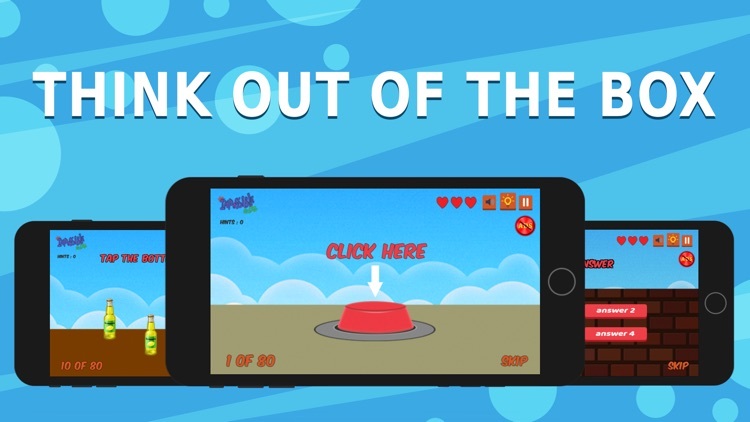 Do you love thinking games or brain teaser games?! 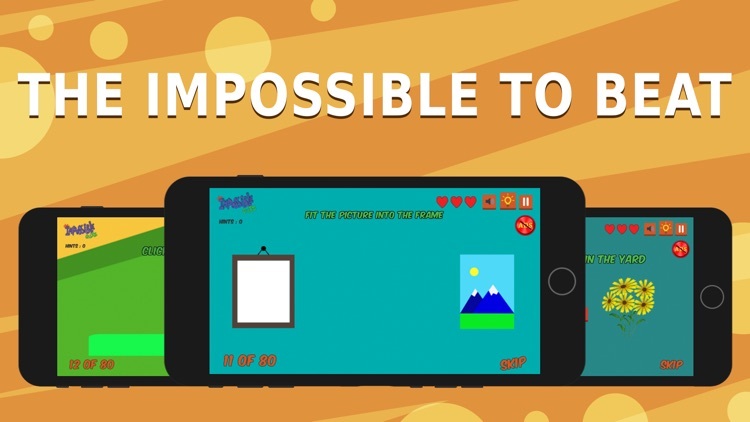 The impossible quiz is real trouble bubble for that case! 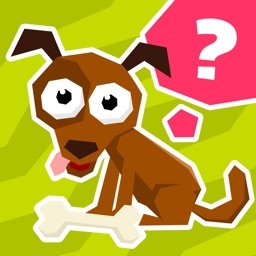 We have created unique IQ test and Tricky test which consists from multiple impossible puzzle games and many brain teaser levels. So, the name comes from its origin, this game is impossible to beat! 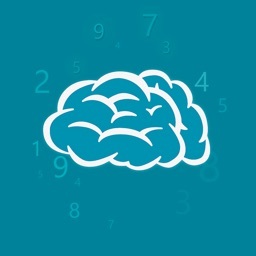 There are many names for our quiz, some call it the idiot test or stupid test as it is really hard to answer the questions, some of it call just the impossible game, but anyway the name will not help, even calling it the moron test, as the only your math skills and creative thinking will be helpful. 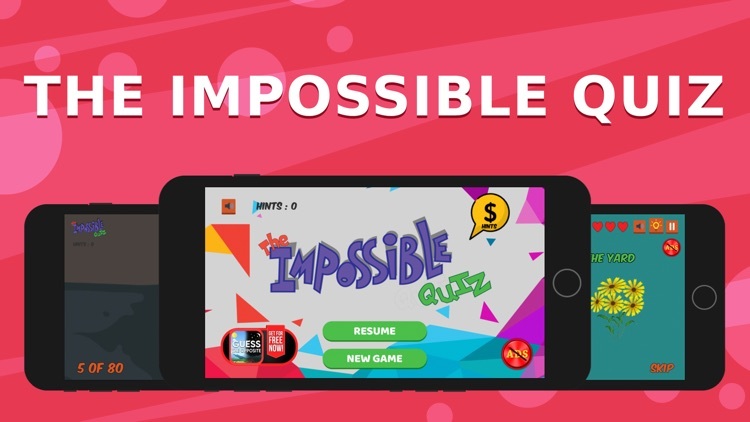 This impossible quiz has 10 checkpoints and 80 tricky questions and its not inpossible quiz to beat easily! 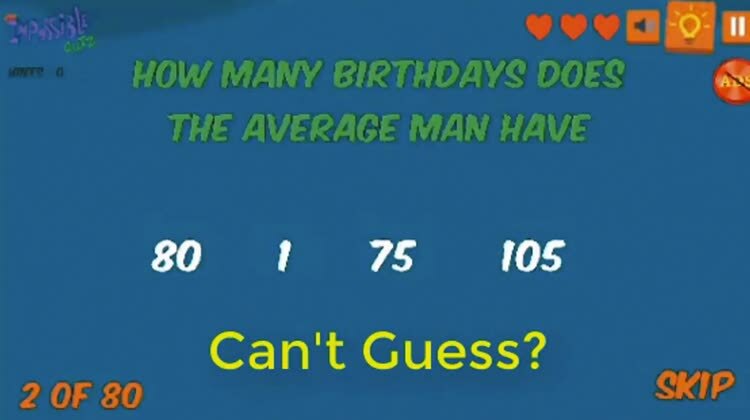 Don't worry, you have daily hints limit to answer them. 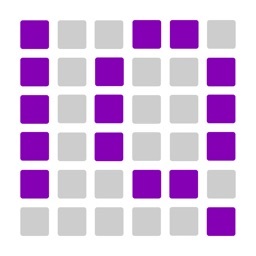 With these levels, you can test your math skills as well. 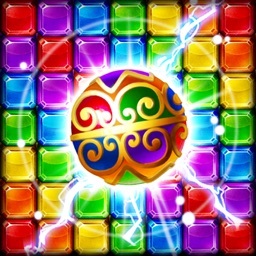 Do you love mind games? Then go on! On every checkpoint, you have 3 life to answer correctly. After that you have to answer questions from checkpoint again and again. 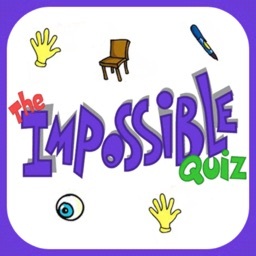 We are going to issue the impossible quiz 2 and the impossible quiz 3 in the upcoming months. 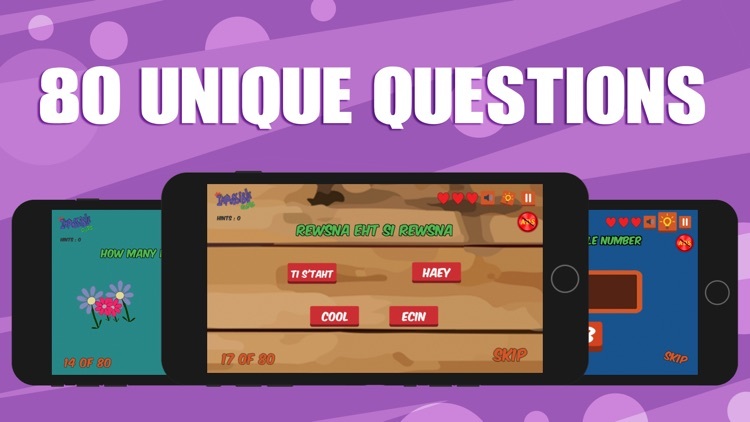 Be aware, the game is very addictive one and our prank questions can be very hard to beat! 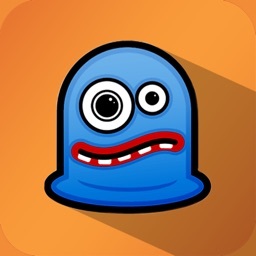 This is one of the hardest game ever to play and beat. So, take a deep breath before starting this game! 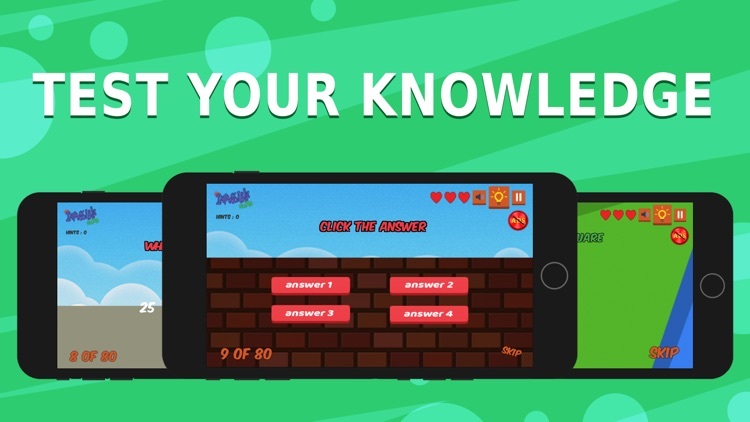 Our interactive trivia game will be your the best and the worst friend for several days! 1. Weekly Vip Membership offers a weekly subscription for $4.99. It provides you with daily 3 hints, No Ads, and 1 Skip.